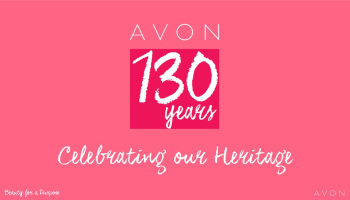 With the 130th anniversary coming up this year for Avon I’ve been having a browse of the vintage Avon adverts….they are fab!! And it’s a highly addictive past time…must get some work done!! 1950’s – this is just pure glamour – one of my favourites. 1960s – Avon Lipstick Deluxe advert followed by a true sixties psychedelic ad Avon Calling with fragrance and cosmetics branded Patterns!! 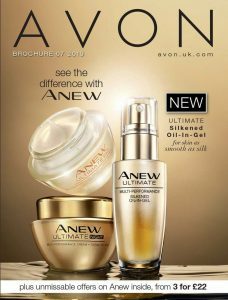 Back to Avon’s roots with a perfume themed advert and finished with the classic ‘ding dong’. 1970s – promoting the heart and soul of Avon – the Avon Lady and selling personally to customers in their own homes….I’m sure the ‘ding dong’ was in there too! 1980s – this video starts with a quick review of the previous decades and makeup trends, then brings in the bright makeup, wild eyeshadow contours, and glossy lips of the decade. 2000’s – now using celebrities to promote the Avon brand this advert features the gorgeous Reese Witherspoon and Avon Extra Lasting Makeup. 2016 – in our dot.com era Avon used the popularity of blogging this year with the #makeupyourownmind beauty bloggers challenge.